Drexel University appears in our ranking of the 10 Best ABA Master’s Degree Programs in the East. The Master of Science Degree in Applied Behavior Analysis is designed for those who wish to work with individuals and groups who are dealing with behavior and developmental disorders. Students develop an understanding of human behavior, gaining the skills to analyze and guide change using a data-driven approach. Drexel University relies heavily on hands-on experiences, requiring students to complete a practicum that allows them to apply classroom learning in the real world. The program is available full-time, part-time and online. Students must complete 27 core credits, 12 credits in Autism Spectrum Disorders concentration courses or a practicum, as well as six credits in action research. Drexel University offers a graduate certificate in Applied Behavior Analysis that investigates and describes how individuals interact and how interaction impacts behavior. Applied Behavior Analysis can be used to teach new skills to all populations but is commonly used to treat those on the autism spectrum. Graduates have found positions as behavior analytic consultants, program coordinators, senior clinical directors, and interventionists. The program is available both online and on-campus. The degree is also available in a hybrid version at the Drexel University Washington DC Center. The program takes approximately two years to complete and requires 27 credit hours. Founded in 1891 as the Drexel Institute of Art, Science and Industry, the school was the vision of noted philanthropist Anthony J. Drexel. He believed that young men and women needed training in an industrial society that was growing rapidly. Initially, the school did not offer degrees but provided training in trades that were important at the time. It was not until 1914 that the school began offering undergraduate degrees. Drexel implemented one of the first cooperative education programs in 1919 where students alternated between classes and full-time employment. In 1927, the school was granted the privilege by the Commonwealth of Pennsylvania to offer Master of Science degrees. In 1936, the school was renamed the Drexel Institute of Technology. In 1965, the school was granted permission to issue a Doctorate in Philosophy. To better reflect Drexel’s commitment to research and the breadth of their programs, the name was once again changed in 1970 to Drexel University. Today, Drexel’s investment would have been more than $3 million and it is still the largest philanthropic gift in the history of the school. In addition to creating a school based in the needs of industry, Drexel’s school educated students without restriction of gender, race, religion or socioeconomic status, something that was unusual for the time. The vision continued when, in 1983, Drexel became the first school in the country to require all students to have access to a computer. It was also the first university to operate a fully wireless campus in 2000. Drexel has been ranked among the nation’s 100 best universities over the past decade. Drexel University ranked in the top 21 of fully-accredited schools for public health according to US News and World Report. The Department of Public Safety was ranked third nationally according to Security Magazine. In order to apply to the MS in Applied Behavior Analysis program, applicants must hold a bachelor’s degree from an accredited college or university and must have a GPA of 3.0 or higher in all undergraduate work. They must complete an application and provide official transcripts from all colleges and universities attended. Two letters of recommendation, a personal essay, and a resume are also required. The same process is required for the online program. In order to apply for the Applied Behavior Analysis Certificate program, applicants must have a master’s degree in either Psychology or Education. They must complete an application and provide official transcripts from all colleges and universities attended. Two letters of recommendation, a current resume and an essay describing why they are interested in the program are required. The Master of Science in Applied Behavior Analysis on-campus program is $949 per credit hour. Full-time students also pay a $280 general fee while part-time students pay a $140 general fee. Online students are not required to pay the general fee. Drexel University provides financial support to almost 100 percent of their incoming students with the average scholarship and grant package to freshmen averaging $30,732. The average grant and scholarship package offered to full-time transfer students is $17,611. All students must complete the Free Application for Federal Student Aid (FAFSA) in order to qualify for financial assistance. Undergraduate students may be eligible for grants, scholarships, loans or work-study programs. Graduate students may be eligible for private scholarships, loans, and fellowships. 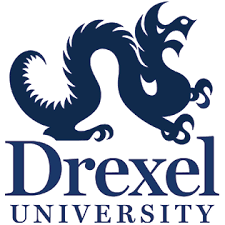 Drexel University also offers payment plans and acceptance of Employer Reimbursement as part of their financial aid programs. Drexel University offers both a graduate degree and graduate certificate in Applied Behavior Analysis designed to create graduates who are well-trained in working with individuals who have developmental or behavioral disabilities. Drexel University offers both programs on-campus, online or in a hybrid version that make it easier for those with family, work or social obligations to achieve their higher education goals.